Meet R.O. Palmer, author of "Partition," "Maxing Out," "Quartet," "Spider Web," "Picasso Prince," "Darress Theatre," "Queen of Diamonds," and "Patriot James," and take a look at the covers. Use the links above "About Me" to look inside at the prologues or to order copies. Good reading. 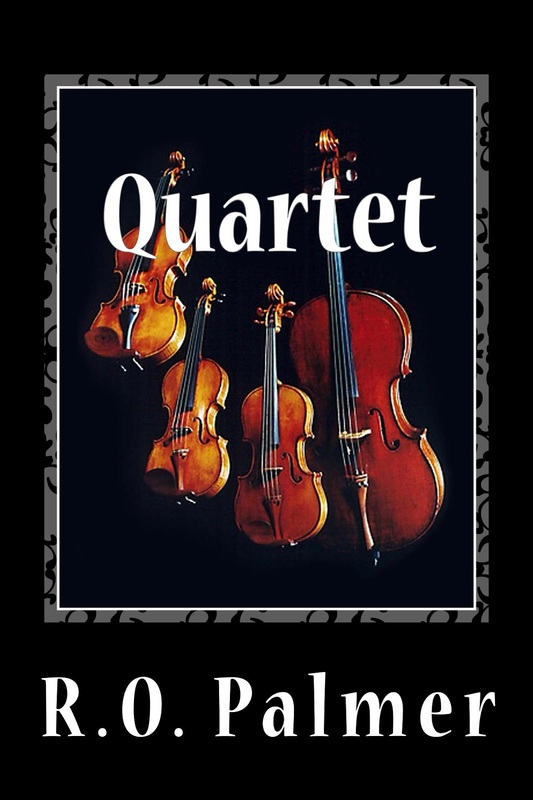 QUARTET is the story of four talented string players who meet at a music conservatory in Cooperstown, New York, where their lives are forever changed. More than a mere coming-of-age story, QUARTET examines, in four distinct voices, the relationships between talent, ambition, and friendship. Kat Dobro, a fiery Romanian-American, drives herself toward greatness—or destruction; Suyin Zhang, borderline anorexic, struggles to break free of the Asian-American stereotype—and from her mother; Ana Kozerski, a Russian exchange student, has big dreams—and bigger secrets; Jaz Phillips, class-clown, has the gift to make everyone play better—except herself. As a team, they strive to win America’s premier string quartet competition, encountering ups and downs on their four-year journey from being girls to becoming women. Like a classical string quartet, this novel weaves multiple themes with multiple voices, exchanging melodies, building harmonies, moving back and forth from dissonance to consonance. 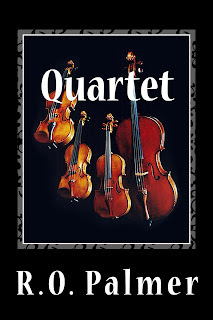 QUARTET is an adult novel that the 15-25 generation will relate to. The twists and turns will make you laugh and cry. Perhaps, you will hear Mozart. Friday, June 6, 2014, 5:30 - 8:30 p.m. Book Signing at Heavenly Temptations, 712 Main Street, Boonton, NJ 07005. Saturday, June 14, 11:00 - 12:30. Book Signing at the Dickinson College Store, Holland Union Building, Carlisle, PA.